Uchisar, famous with Uchisar Castle which was constructed on the highest point of the region, has been used as an important defense point against invasions during Roman and Byzantine periods. Goreme Open Air Museum, almost all rock blocks have ruins of churches, chapels, dining halls and living rooms. Today’s Goreme is considered the place where Open Air Museum monastery education system got started. Cavusin, church and castle of Cavusin that was named after Emperor Nicephorus Phocas dates back to the years of 964-965. Church has single nave and it has a cradle vault and 3 apses. And its narthex is demolished. Pasabagi, the region used to be called Priests Valley is decorated with very interesting natural formations. Conical shapes of single bodies with several heads scattered in vineyards make the area a nice walking place. Was used for seclusion by priests aimed to live a reclusive life. Avanos, its name in the period was Venessa. The tradition of making ceramics in the district dates back to Hittites. The ceramic mud made from red soils and loam brought by Kızılırmak(Red River) is shaped in the hands of the ceramic artists of Avanos. Devrent Valley, also known as valley of Fairy Chimneys. Not very large valley , with small tuff cones standing close to each other by the hundreds and making the horizon look ragged. Urgup’s Fairy Chimneys, with conical shaped body and a boulder on top of it. 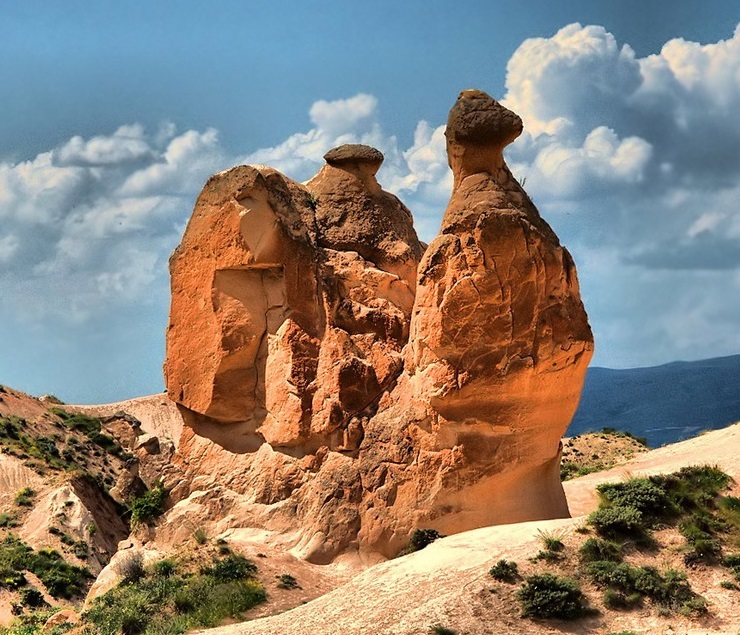 Three Graces(Üç Güzeller) are the brilliant three fairy chimneys. End of tour transfer to airport . Flight to Istanbul. After arriving transfer to Hotel in Istanbul .